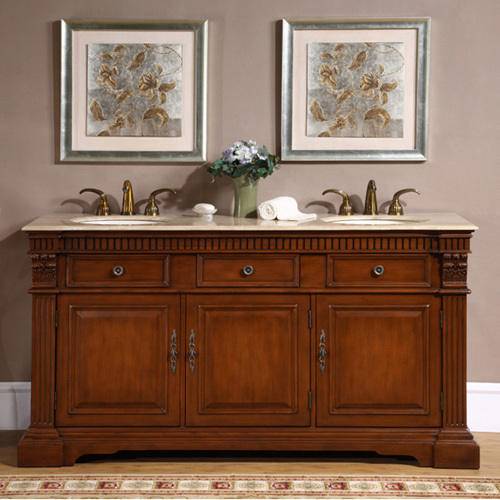 The Cesena Wide Double Bath Vanity is a handsome centerpiece for your bathroom. It features beautiful beveled details which create clean lines. 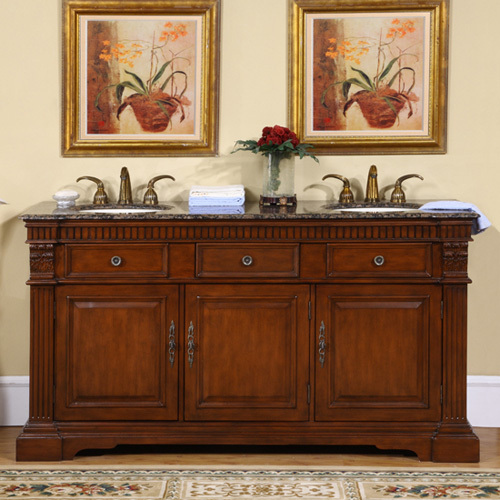 The cabinet is hand crafted and hand painted, which means that the Cesena is built just for you. 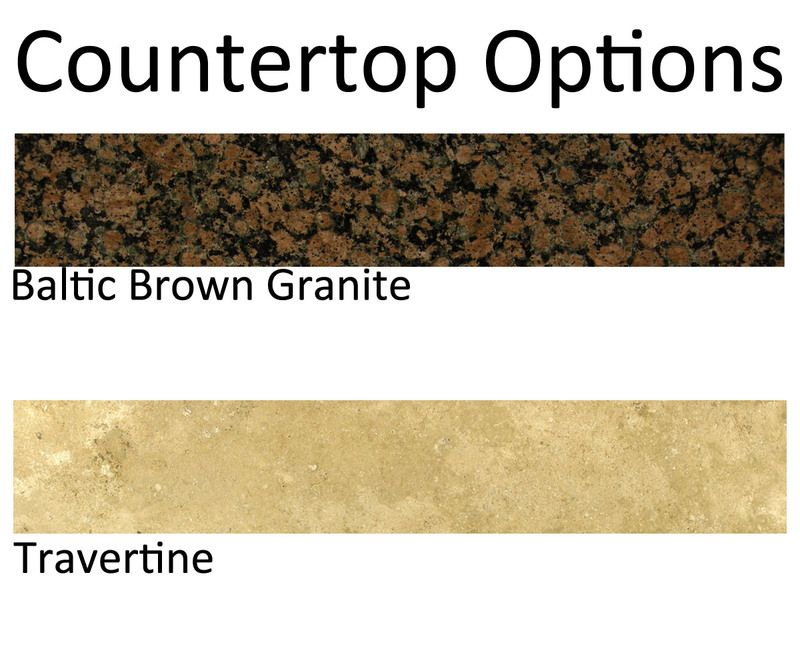 The countertop is made of Roman Vein-Cut Travertine and arrive pre-drilled for faucet installation, and both include double ivory ceramic undermount sinks. 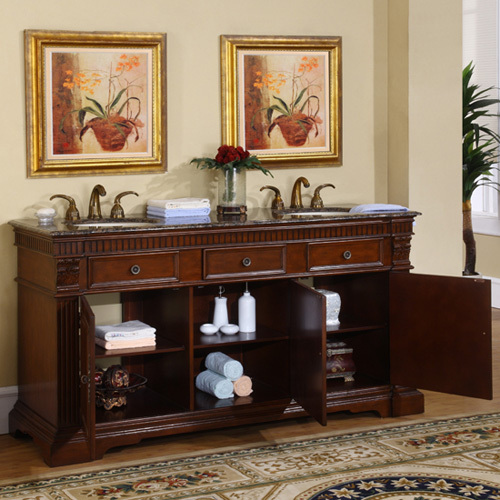 This double vanity offers plenty of counter space for your bathroom routines and is perfect for couples. 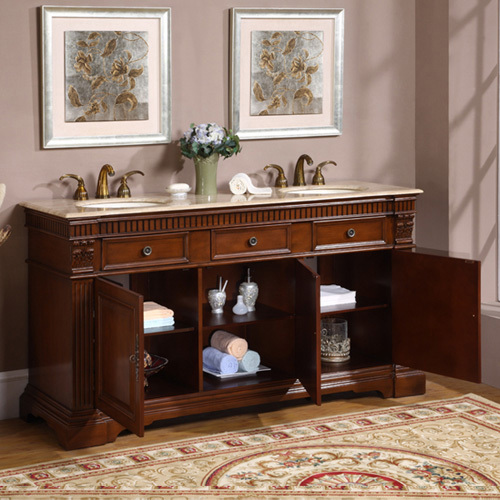 To keep you bathroom stocked and tidy, it features one drawer and three doors.